CULLMAN – The man who led multiple law enforcement agencies on a high-speed chase down U.S. Highway 31 Monday has been identified as Brandon Osborne, 24, of Danville. The chase began in downtown Falkville and ended when Osborne crashed in Hanceville. He was transported by helicopter to Huntsville Hospital with non-life-threatening injuries. Burgess said Osborne forgot to put his car in park, and it started rolling, so Osborne jumped back in his car and took off. Burgess said he and his fellow officer, Officer William Riley, told dispatch to advise Cullman County that the offender was heading into Cullman. They lost sight of Osborne and Burgess backtracked to make sure the original complainants were safe. When Officer Riley pulled up, Osborne took off. Osborne kept going, eventually making it down Highway 31 in Hanceville, where he crashed into a utility pole, breaking it in half. 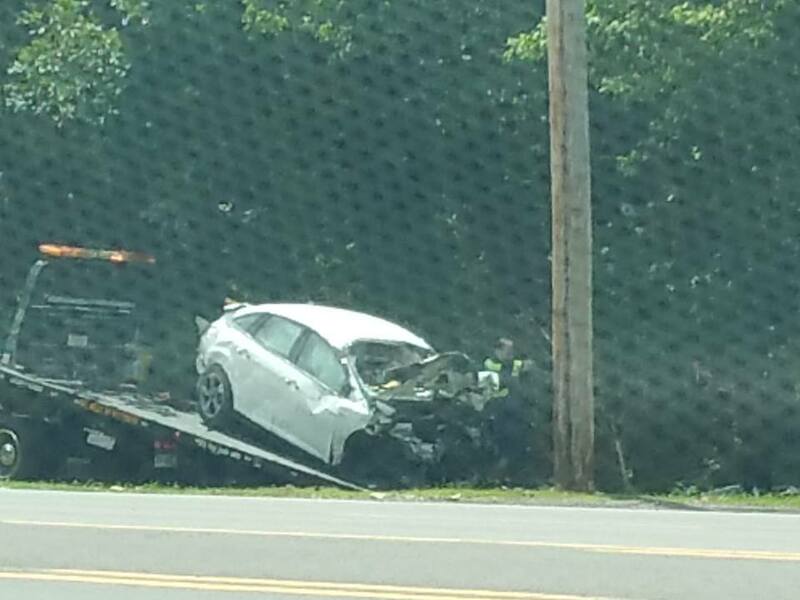 Burgess estimated Osborne’s speed was between 80 and 100 miles per hour at the time of impact. “I can’t believe he made it (survived the crash),” he said. The car Osborne was driving, a 2017 white Ford Focus, had a switched tag, but the registration came back to Osborne’s family members, according to Burgess. As to Osborne’s condition, Burgess said he is awake, alert and talking, with non-life-threatening injuries. It is unknown whether Osborne has been discharged from Huntsville Hospital at this time. Burgess said he doesn’t know yet what Osborne will be charged with. He said Osborne has a criminal record, and that will be looked at with Morgan County District Attorney Scott Anderson. Possible charges could include felon in possession of a firearm, menacing and leaving the scene of an accident. Osborne could also face criminal charges in Cullman County.